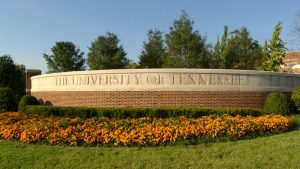 The University of Tennessee announced an estimated economic impact of more than $9 billion for the most recent fiscal year, 2017. The study includes campuses located in Knoxville, Chattanooga and Martin, as well as the Health Science Center in Memphis, the Space Institute in Tullahoma and the statewide institutes for Agriculture and Public Service. UT campuses directly contributed $3.5 billion in economic impact during the year. The $9 billion dollar total figure does not include the significant role UT has co-managing Oak Ridge National Labratoy wth its more than 4,000 employees and $2.2 billion budget. Right now UT has system wide enrollment of nearly $50,000 students, including both graduate and undergraduate students, and the system employs about 25,000 faculty, staff and student workers.